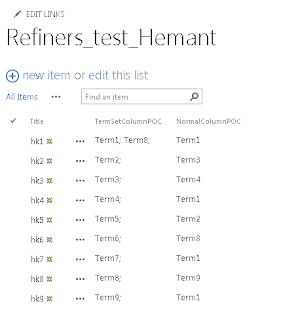 We will try to understand how refiners work in SharePoint 2013 here. Refiner webpart passes a Jason object in url . 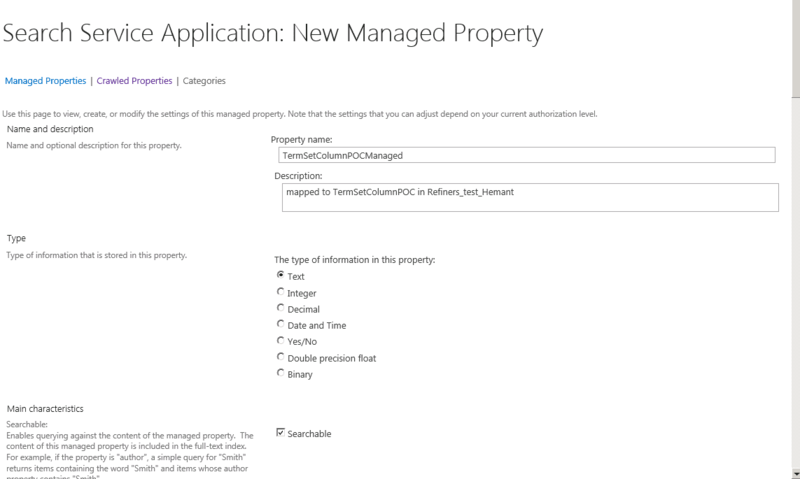 I want my search result page to display results when "Term8" is present in column TermSetColumnPOC or NormalColumnPOC . 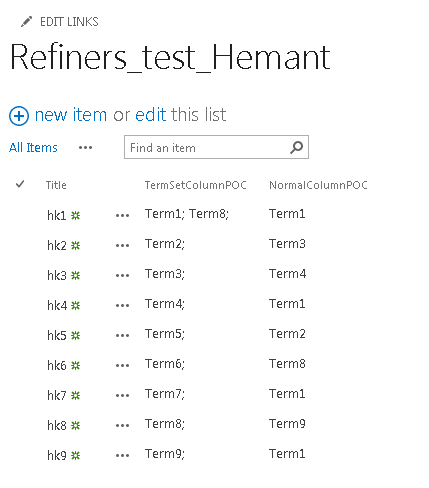 I will also provide a filter , which will hide the results which don't have "Term8" present in column TermSetColumnPOC . 3. 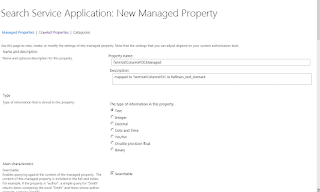 Create a Content Source under Search administration in central admin which contain only your test web application to be crawled . This is not a mandate , but will expedite this process of testing refiners , as you will drastically reduce crawling time. 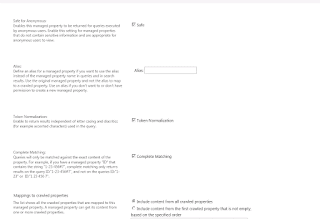 Run a full crawl on this search content source. 5. Run full crawl again. 6. 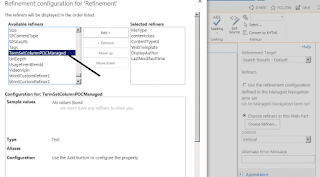 After this crawl is over , you can test refiners in your search center . I don't want one so , I will create my own simple page. 7. 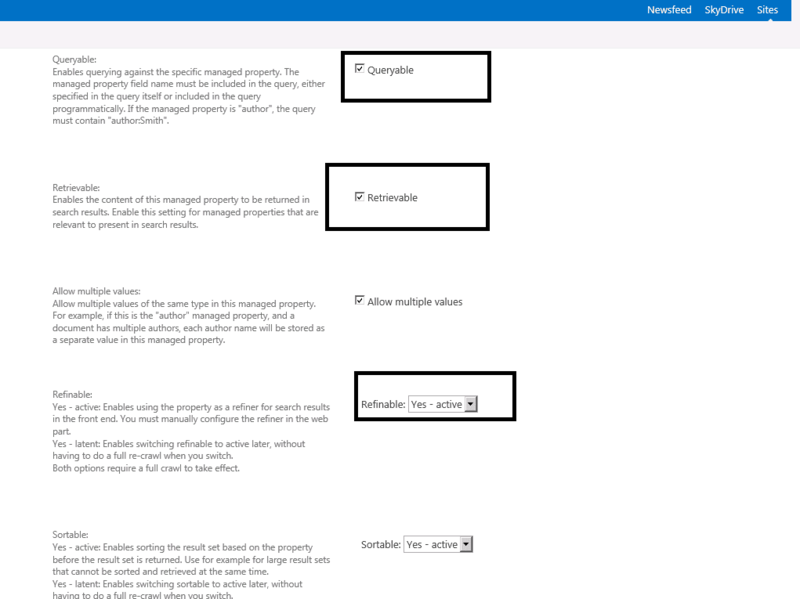 Enable site collection feature "Search Server Web Parts and Templates"
9. 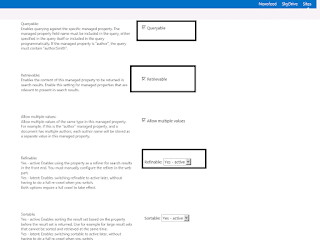 Under Webpart properties of refinement webpart choose TermSetColumnPOCManaged as one of the available refiners. 10 . 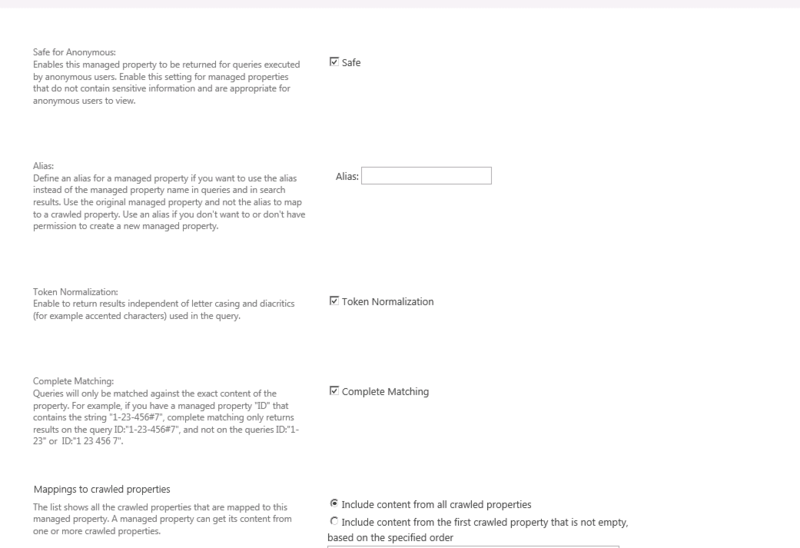 Publish and approve this page . 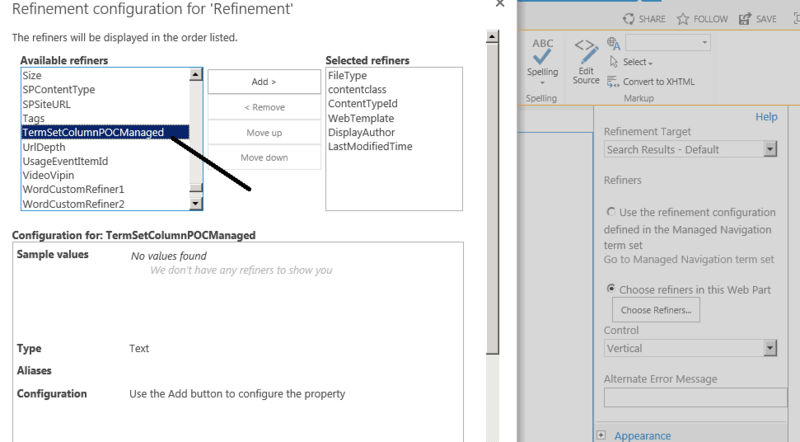 On the same page Search "Term1" , and in Refiners , select "Term1"
On the same page Search "Term1" , and in Refiners , select "Term9"